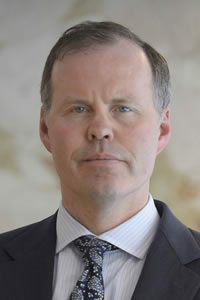 Adalsteinn (Steini) Brown is the Dean of the Dalla Lana School of Public Health at the University of Toronto. Prior to becoming Dean, Steini was the Director of the Institute of Health Policy, Management and Evaluation and the Dalla Lana Chair of Public Health Policy also at the University. Other past roles include senior leadership roles in policy and strategy within the Ontario Government, founding roles in start-up companies, and extensive work on performance measurement. He received his undergraduate degree in government from Harvard University and his doctorate from the University of Oxford, where he was a Rhodes Scholar.